Starting with Advance Concrete 2011, you can change the color of the reinforcement bars according to their diameter. 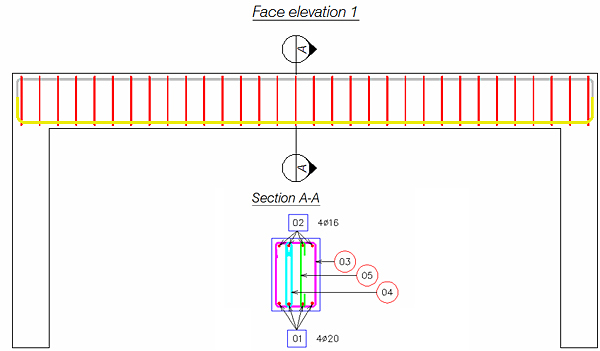 This new improvement is for easier viewing and checking of reinforcement drawings. If you want the reinforcement bars to have a color only if they are not distributed, then you must select "Highlight not distributed bars" and choose a color from the drop-down lists (one for the uncounted distribution, and one for the undistributed bars). 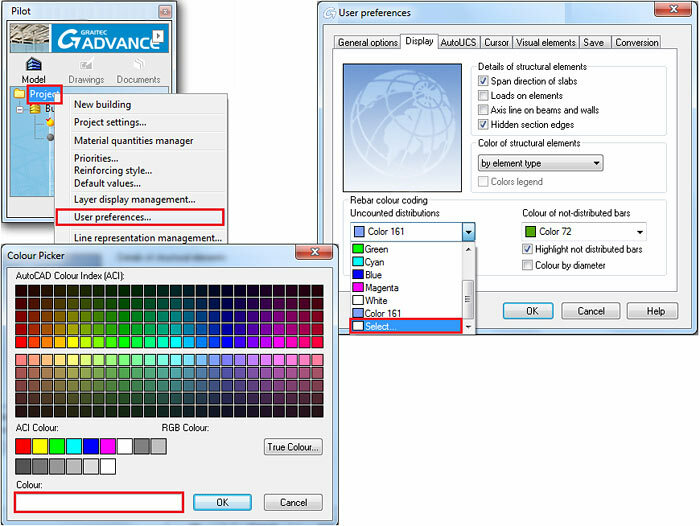 Also, starting with version 2011 the color picking tool has changed so that Advance Concrete uses the AutoCAD Color Index (ACI) where you can directly pick a color or input the color number. If you want to change the color of the reinforcement bars depending on their diameter you must open the "User preferences" dialog box, and on the "Display" tab, select the "Color by diameter" option. Note: You cannot select both options at the same time. 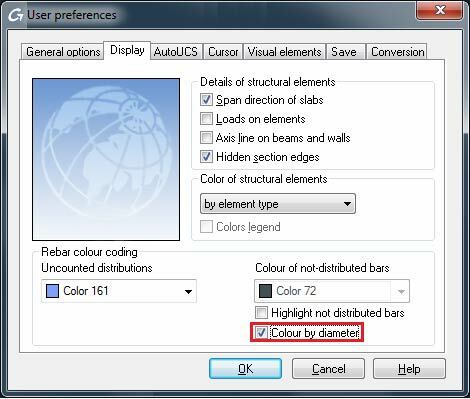 To change the color for each bar based on its diameter, use the "Steel Grade" option on the "Advance Project Preferences" toolbar. In the "Bar library" dialog box scroll to the end of the library table and you will be able to modify the colors for all types of reinforcement bars based on their diameter and their steel grade.